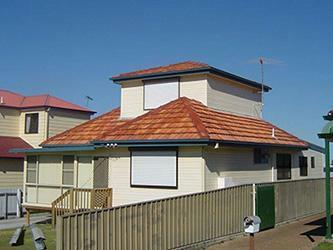 Wyong Roofing - Up to 25% off for new customers! When you need roof repairs on the Central Coast there is only one team that will come straight to you free of charge, ready to place decades of experience and a focus on unbeatable value at your service. This same determination to provide top notch workmanship at the best possible rate extends to the licensed, insured, professional tradespeople that we provide, with roofing services and roof repairs available from the Central Coast through to Port Macquarie, as well as Newcastle, Maitland and the Hunter Valley in between. Roof Repairs - Local, Experienced and Trusted! Wyong roofing are outfitted to provide you with the absolute best in roof repair services for all roof surfaces and designs. If your home is tiled in cement or terracotta the primary maintenance process is the rebedding and repointing of tiles as required. 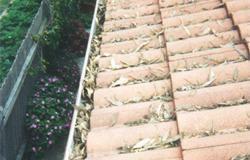 These services relate to the tiles covering the ridge lines of your roof (also called ridge caps), and involve securing the cap to the surface with bedding cement or waterproofing it into a smooth concourse with pointing mixture; both procedures are occasionally necessary for any tiled roof to keep it strong, safe and waterproof. If you're lucky enough to be living under a roof of Colorbond steel much less maintenance is required - without ridge cap tiles the requirement for re-bedding and re-pointing is lost, allowing the roof to largely remain untouched unless damaged. We are Colorbond steel specialists, with a full array of weatherproof, colourfast roofing products made from genuine Australian steel. Guttering can be matched to the shape and profile of your current gutters, or entirely replaced in one of a variety of shapes and profiles to match the aesthetic of your home. 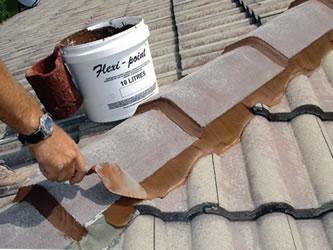 The internal drainage channels of your roof, known as valleys, can also be repaired or replaced with Colorbond rather than the more common zinc alume options which can be prone to rust and decay, leading to leakages into the roof cavity. Your Colorbond roof can also be comprehensively repaired by our teams, who are equipped for Colorbond repairs ranging right up to complete replacements of fixtures, supporting battens and the sheets themselves. By far the most popular roofing service, a roof restoration comprehensively repairs and reconditions your roof to leave it looking and operating better than ever. The first step is a complete repair of the roof in order to address all leaks, replace any broken or faulty fixtures, replace cracked tiles and re-bed and re-point the whole surface as required. A the conclusion of this stage the roof is structurally as good as new, and fully waterproofed by channeling and diverting rainwater over its edges to the guttering. The second step is a complete pressure clean of the roof tiles or metal surface in order to strip away old paint and remove lichen and mold before they can infiltrate the surface of the tiles. Finally, the roof is painted using high quality, UV stabilized and weather proof roofing paint, applied with a high power airless sprayer. These final tough coats provide another layer of sealant against moisture, inhibit the future growth of mold and lichen and result in the roof surface looking brand new and beautiful. 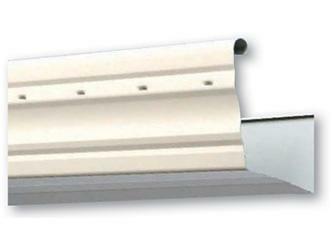 Gutter Guard, also called Leaf Screener, is the perfect complement to our Colorbond gutters. Available in UV stabilized PVC or fire resistant aluminium, Gutter Guard prevents leaves and debris ever entering your gutters where they can accumulate, and in the case of aluminium guard, prevents embers entering the gutters after rolling down the roof surface. 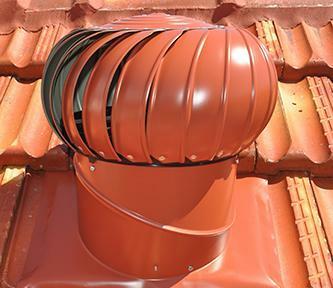 Roof Ventilators, also known as Whirly Birds, are easily recognizable spinning vents installed in roof tops to extract hot air and moisture from the cavity beneath. We offer a wide variety of passive and powered roof ventilators that can be installed quickly and easily by our team on any roof surface. Wyong Roofing have spent over two decades providing roofing tradespeople and professionals to Central Coast home and business owners, building a history of trust, happy customers and quality workmanship. Roofing... with a personal touch! While our expert assessors and teams are out in the field, back in our office is a dedicated project manager who will ensure for you that tradespeople never arrive at your home unannounced, that all work occurs to a strict schedule, and who will be in touch with you at every stage of your job to ensure that you're both happy and informed throughout. Here at Wyong Roofing we guarantee your peace of mind by indepently auditing all insurance, OH & S and trade licensing qualifications to ensure that we can guarantee that the tradespeople completing your work satisfy every requirement and that your property is in the best hands available. Phone or Email... we're always available! Our experienced roof assessors are available to visit your home or workplace by appointment at almost any time. If you would like to arrange a chance to meet with an assessor, please enter your contact details below. We will be in touch shortly to schedule a prompt appointment in person at your home.